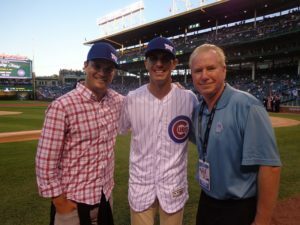 The Gog Blog by Rory Spears, Director of Content and Creation, follow Rory on Twitter @GogBlogGuy, and on Facebook, Linkedin and now Instagram.. With team PXG Zach Johnson and Billy Horschel at Wrigley Field. 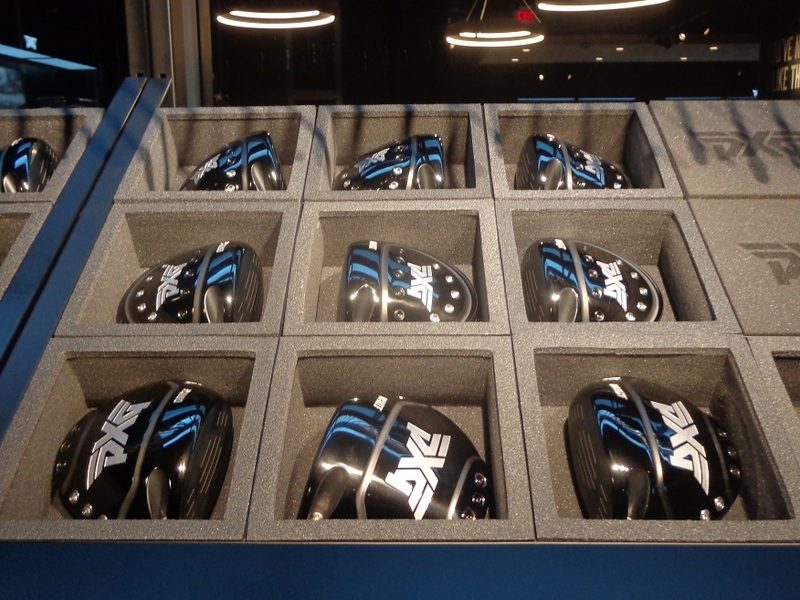 PXG-Parsons Xtreme Golf, owned by Bob Parsons, is again taking his golf company to a new level. Not only are the Generation 2 Irons on the market, but he is bringing PXG golf clubs and product line to your doorstep if your in the Chicago area. 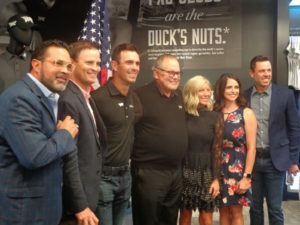 This past week Parsons and PXG pro staffers Billy Horschel, Zach Johnson, Charl Schwartzel, and LPGA star Gerina Piller were on hand to open the very first PXG’s new club fitting studio’s located on Techny Road in Northbrook. Former White Sox manager Ozzie Guillen, Cubs team president Crane Kenney and Chicago Bear Defensive Back Kyle Fuller were among the local celebs who came out for the Grand Opening. Parsons a Vietnam veteran makes it well known right from the start that PXG is an American company, and that PXG events start with the national anthem, and this event was no different. Singer Calvin Bishops rendition of the anthem is one that everyone needs to hear. LPGA star and Solheim Cup hero Gerina Piller stands by her golf bag in the new PXG fitting studio in Northbrook IL. outside of Chicago. What is PXG you ask. 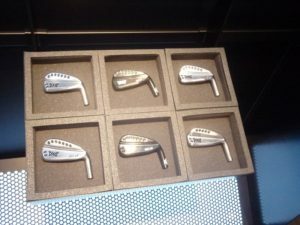 Well it’s a line of golf clubs that spare’s no expense in the production process. Parsons made it clear to his design team, to simply build the best clubs on the market whatever it takes, and that is exactly what PXG has set out to do. Parsons doesn’t tie the hands of his engineers by worrying about price points and other restrictions, just make the best golf clubs, period. How would Parsons know his clubs are good ? Well as a serious golf junkie Parsons is quick to say how he bought every new product or club that came on the market over the years. You pick a company, you pick a brand, you pick a model, you name a set, and Parsons has had them in his bag. 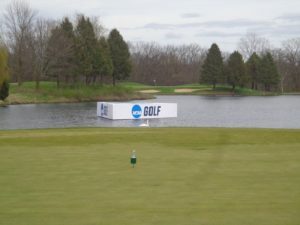 What did he learn by doing that he says, is that the better the clubs he used, the better his golf game became. So when he started out in the golf business, he made sure his line of clubs were as good as they could be. In fact Parsons doesn’t let the calendar decide it’s time for another new driver, set of woods, irons, wedges or putters. He simply doesn’t release any new club with a PXG stamp on them until they are significantly better than what his company has previously had on the market. Click here to hear the full interview with PXG Golf owner Bob Parsons. 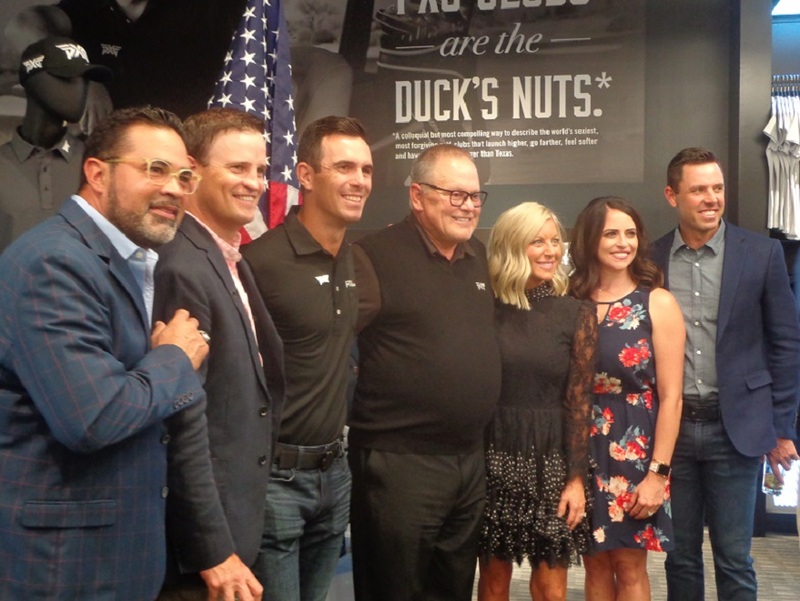 L-R Ozzie Guillen, Zach Johnson, Billy Horschel, Bob Parsons, Renee Parsons, Gerina Piller, and Charl Schwartzel. 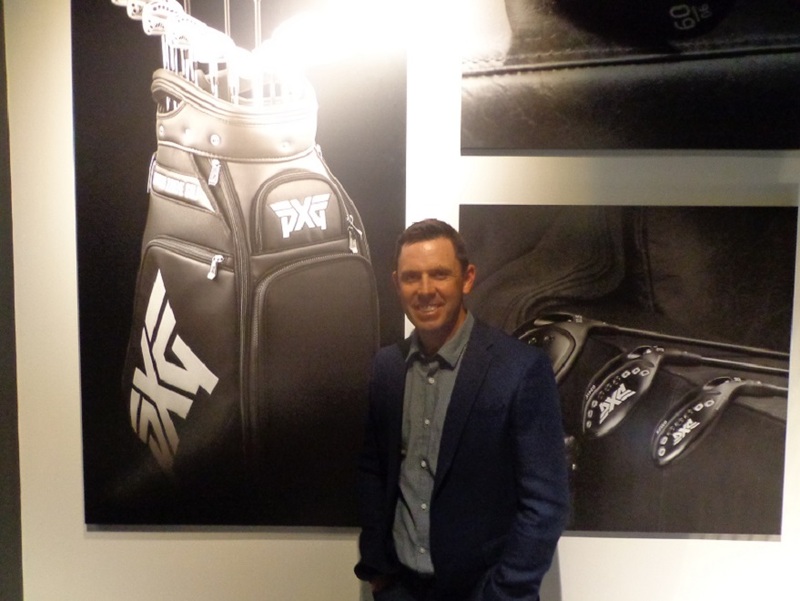 PXG is located in Scottsdale Arizona, but is now going to be found everywhere, as the PXG fitting studios will continue to launch around the country in the months and years ahead. 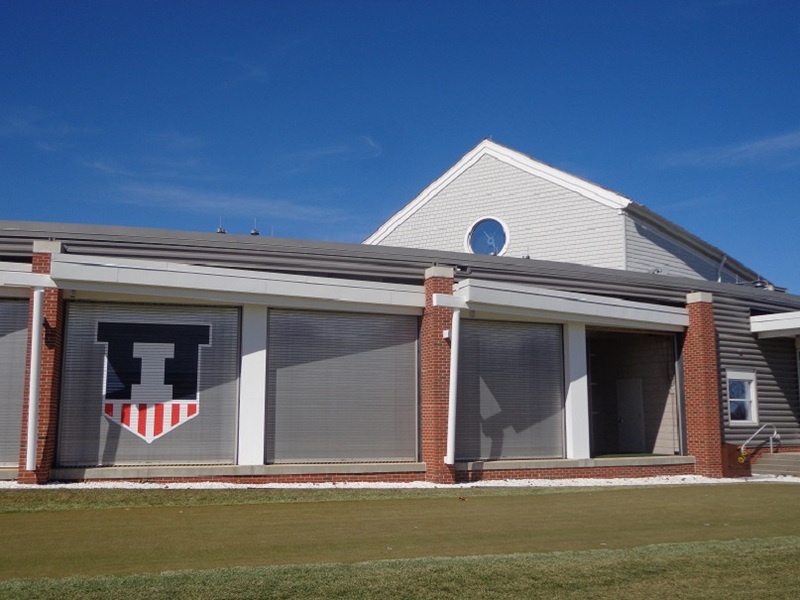 The new Northbrook Illinois store is complete with a full product line of clothing, travel and golf bags, glasswear, hats, visors and gloves. 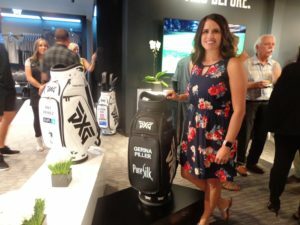 Then there are two full-sized hitting bays, an indoor putting green, and display area’s to see the full line of putters, shafts, and club heads for those ready to invest in a set of PXG golf clubs. So why did several top golfers from both the PGA Tour and the LPGA Tour make the jump when they did to PXG products ? 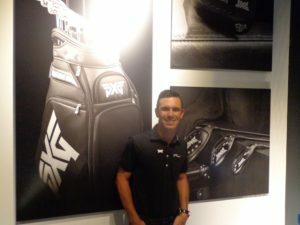 Well listen below to their answers of how and why PXG works for them. 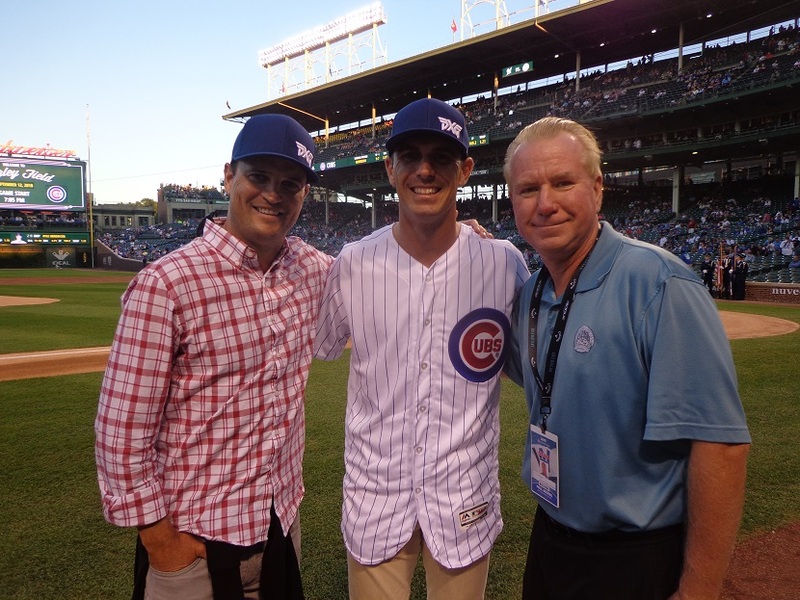 Click here to hear the interview with 2014 Fed Ex Cup Champion Billy Horschel. 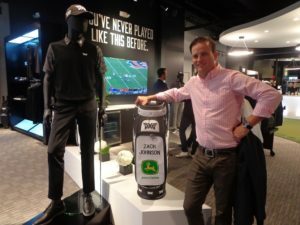 Click here to hear the interview with Masters and British Open Champion Zach Johnson. 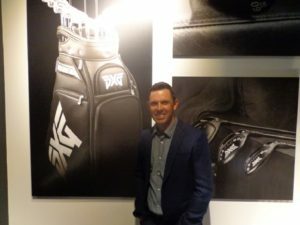 Click here to hear the interview with Masters Champion Charl Schwartzel. 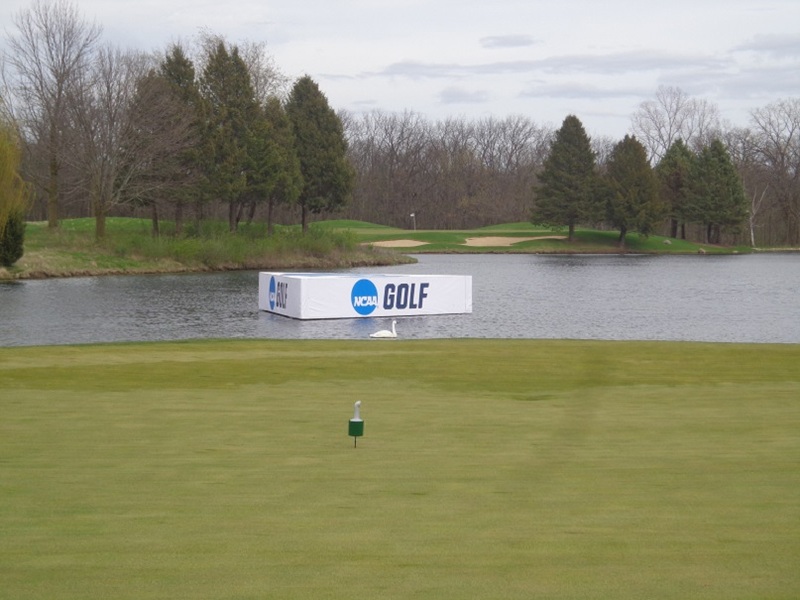 Click here to hear the interview with LPGA and Solheim Cup star Gerina Piller. BILLY HORSCHEL (L) and CHARL SCHWARTZEL At the new PXG studio in Northbrook, standing in front of the of the product line they support. ZACH JOHNSON standing with his golf bag (L), and some of the PXG store product line of golf wear and more. THE PXG driver heads (L) and the new Gen-2 PXG irons on display in the fitting area. 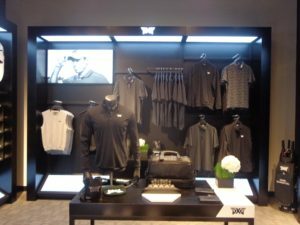 For a closer look at PXG clubs and the product line, visit the new PXG fitting store, located at 1955 Techny Road Suite #2 in Northbrook, call (847)-480-GOLF, or visit PXG on line at PXG.com or social media sites. 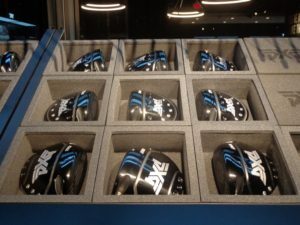 Golfers on Golf will test out PXG clubs at a late date this fall at the new Northbrook studio.